Largecents.net This site is run by Tom Deck, a prominent member of the Early American Coppers (EAC) club. Tom has been collecting not just the regular date set of large cents like me, but also trying to build a set of the varieties of each date. Many different die pairings exist for each date. 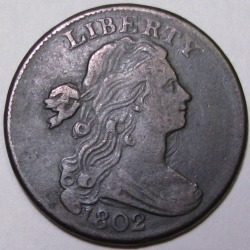 Example: Where I have just one 1794 large cent, there are actually 56 different die marriages for just that year. Tom has 27 of them! 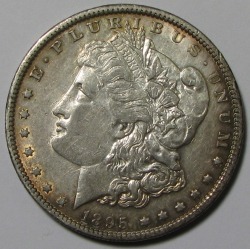 Tom has excellent, large images and detailed descriptions of his personal collection, and also offers some coins for sale right on his website. Early American Coppers website. EAC is a not-for-profit numismatic specialty organization founded in 1967 to serve as a point of contact for collectors of early U.S. copper coins - Colonials, Half Cents, Large Cents, and Hard Time Tokens. Today EAC comprises over 1,200 members located throughout the United States. Morgans are fascinating. This series is one of the most widely collected, with people collecting by date (as I have done-one of each year regardless of mintmark), date and mintmark, or by variety (there can be many different die pairings within each date and mintmark!). VAMWorld Probably the best site I've found, it details all of the interesting and collectible varieties of each Morgan Dollar, and has pictures if you want to attribute your collection. I got my start collecting with this series. And I've spent a lifetime upgrading and "perfecting" my Flying Eagle and Indian Cents. 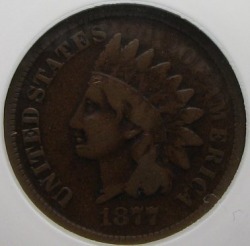 The first of the small cents, these coins made their appearance shortly before the Civil War. Eagle Eye Rare Coins, Inc. Operated by the most knowledgeable Flying Eagle & Indian Cent expert in the field. Rick has made a lifetime of work out of his passion for the series, and offers truly high end specimens for sale on his site. He has penned several books about the series (and I own a couple! ), and his depth of knowledge is unsurpassed. Heritage Auction Galleries is one of the largest searchable database sites I've found for coins. Yes you need to become a member (it's free! ), but the prices realized from actual sales is an invaluable resource. And they have great, large images, too! Professional Coin Grading Service (PCGS) Another great reference site, with lots of pricing information for graded coins. You can even become a member and send coins in for certification if you want! U.S. Mint Want to buy the latest offerings direct from the U.S. Mint? I get the proof sets each year and occasionally other sets, too.